There's no rule that poetry writing needs to be a serious and dull affair. Quite the opposite. Why can't poetry appeal to the students' sense of silly? Poetry writing can be challenging and fun, and still produce quality poems that are clever and funny. All of which led me to write this book. The goodies in this book include, chants and street rhymes, limericks, parodies, riddle poems, and "brat poems." 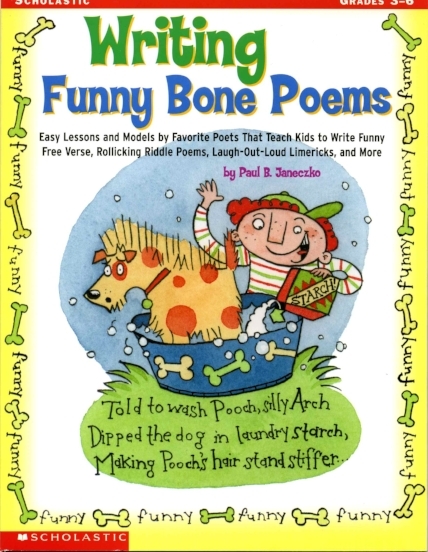 I include 50 poems, extension lessons, and a list of poetry books for kids.